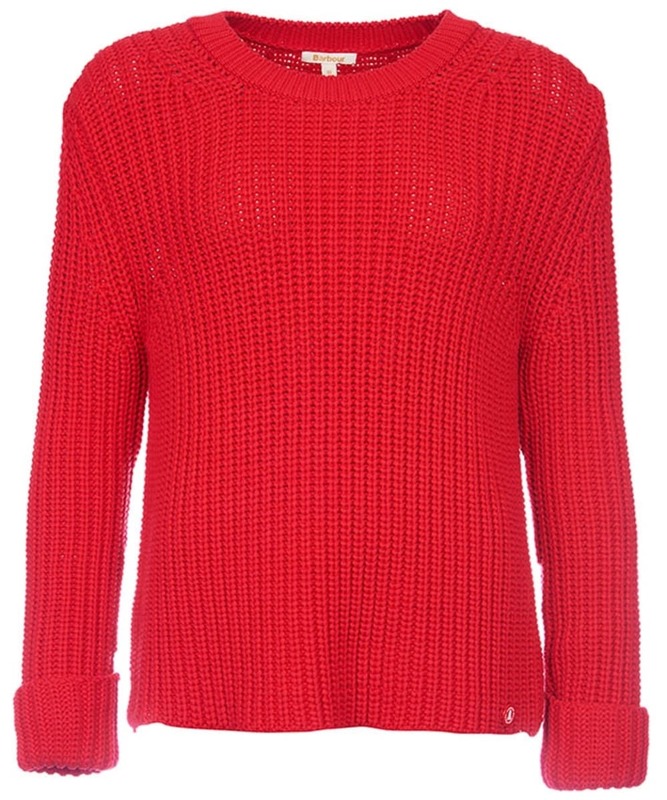 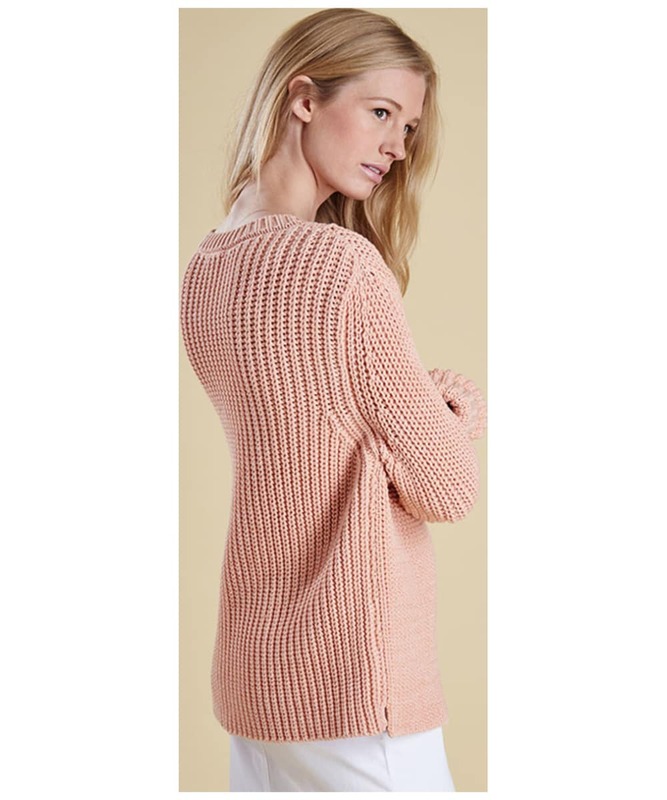 The Women's Barbour Clove Hitch Sweater is knitted using a soft, rope-like yarn into a loose tunic shape. 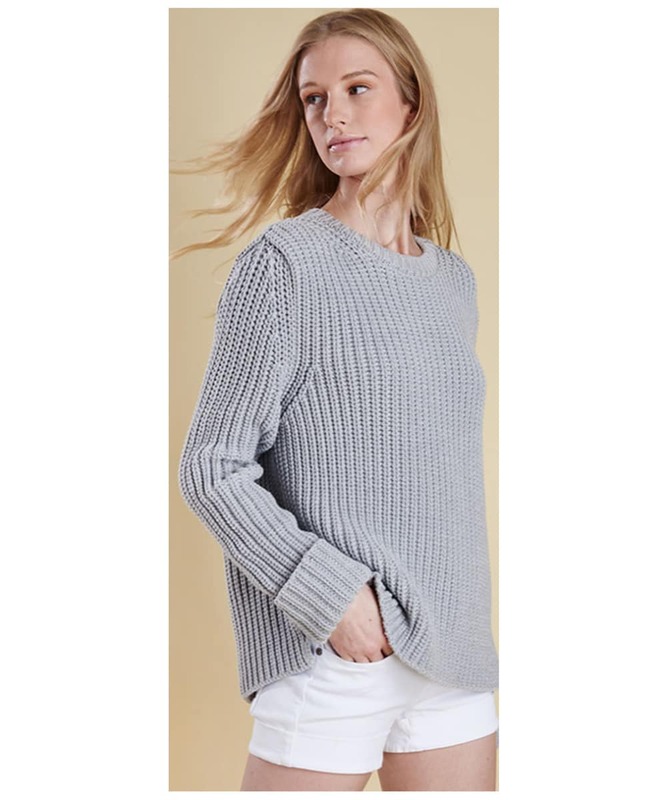 Constructed in a 3 gauge knit it is both chunky and lightweight making this a great transitional layering piece to add to your wardrobe. 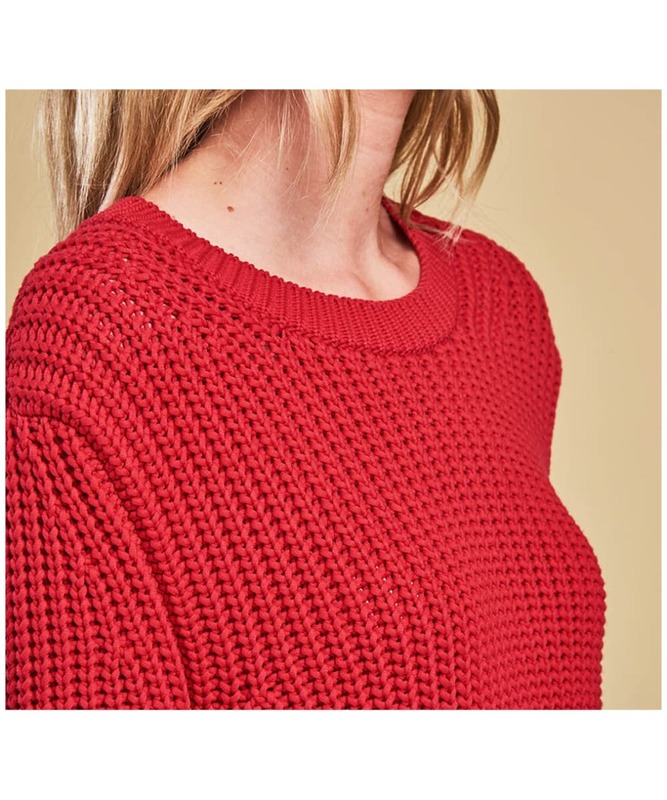 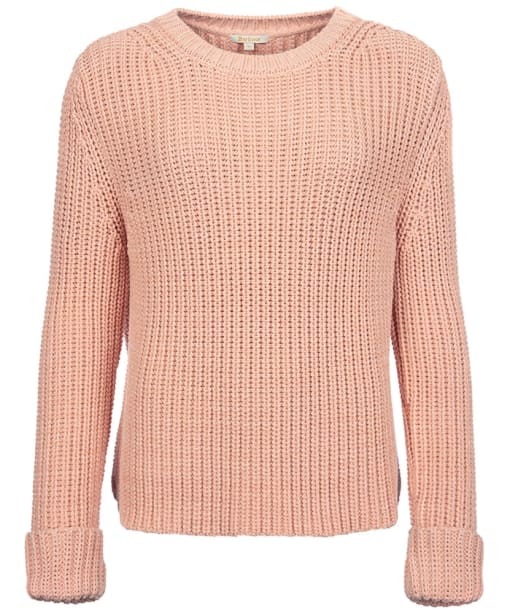 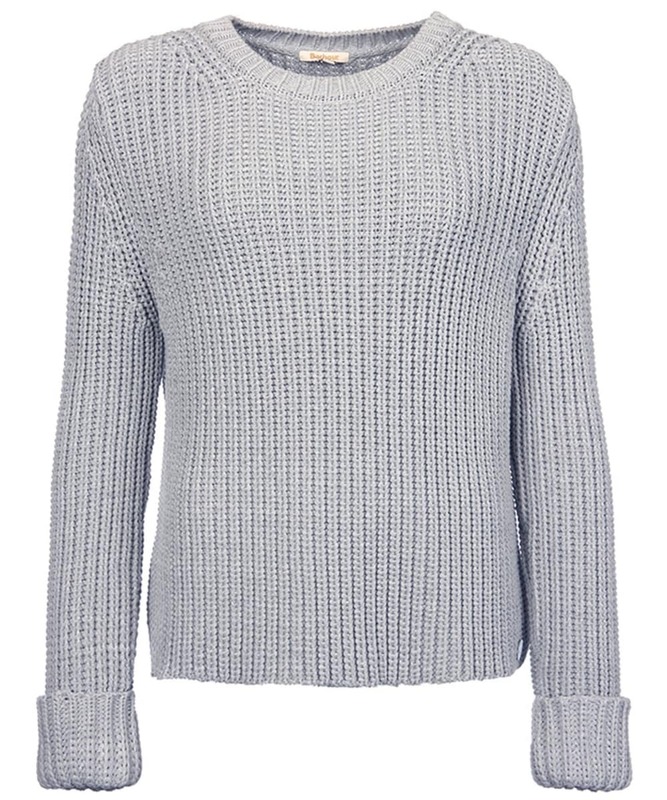 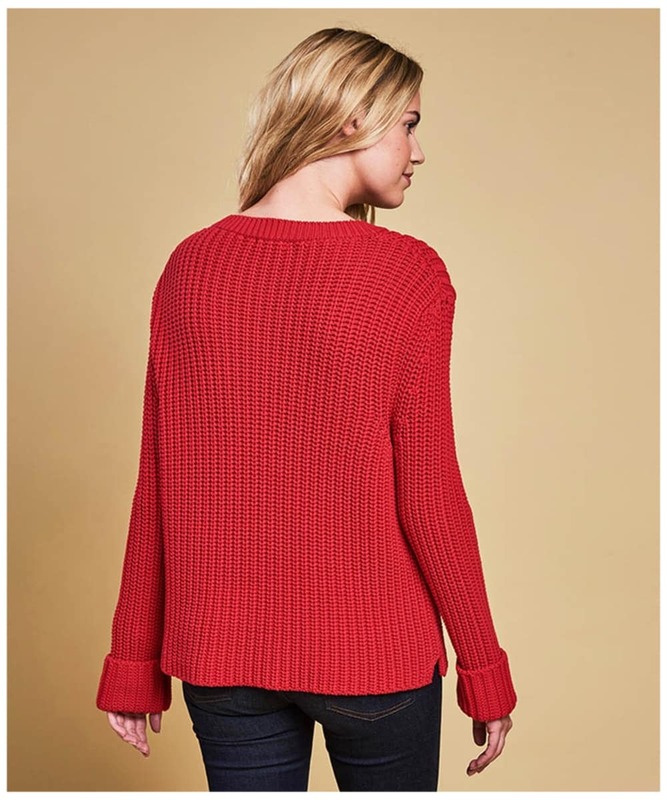 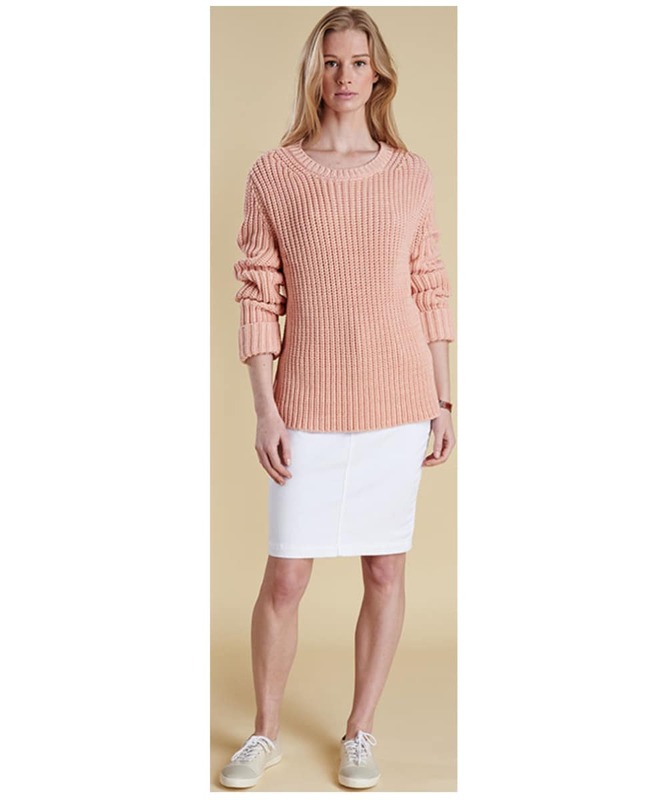 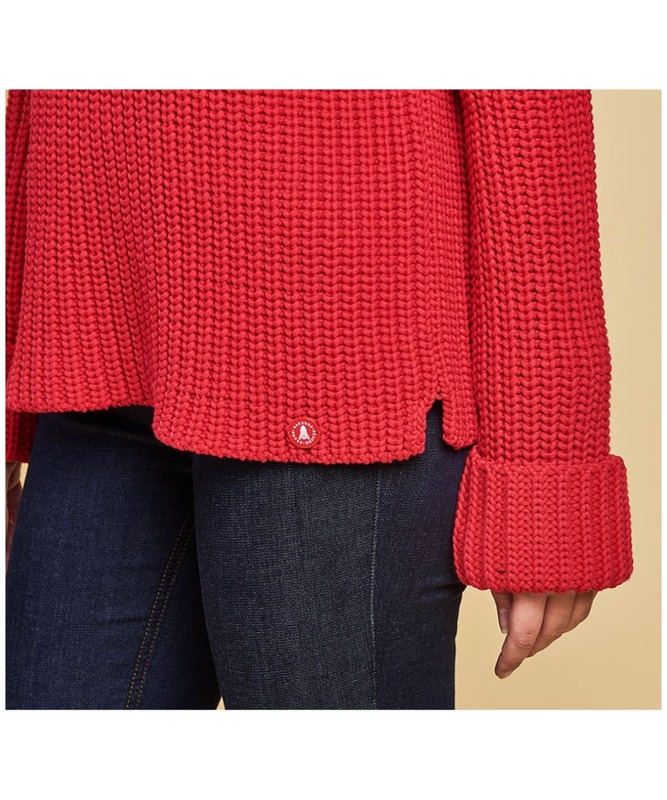 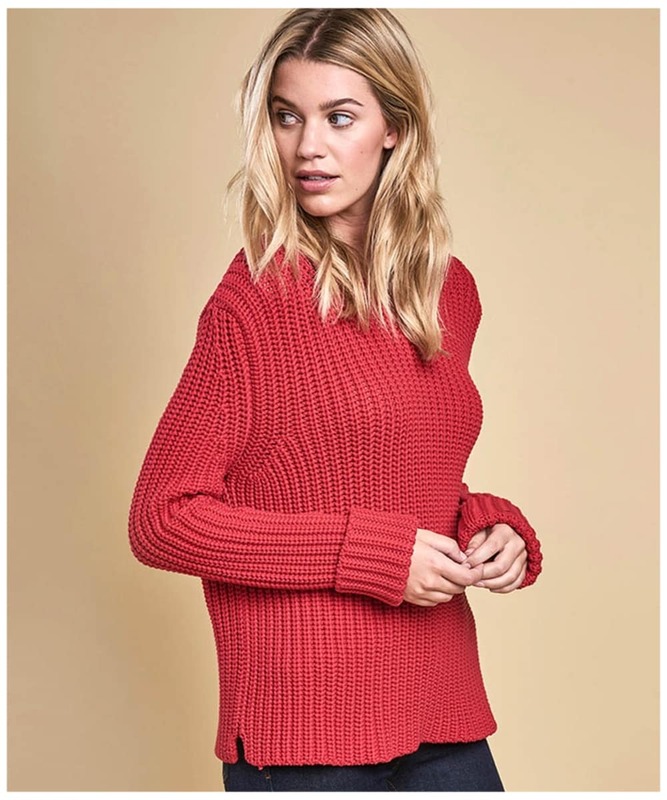 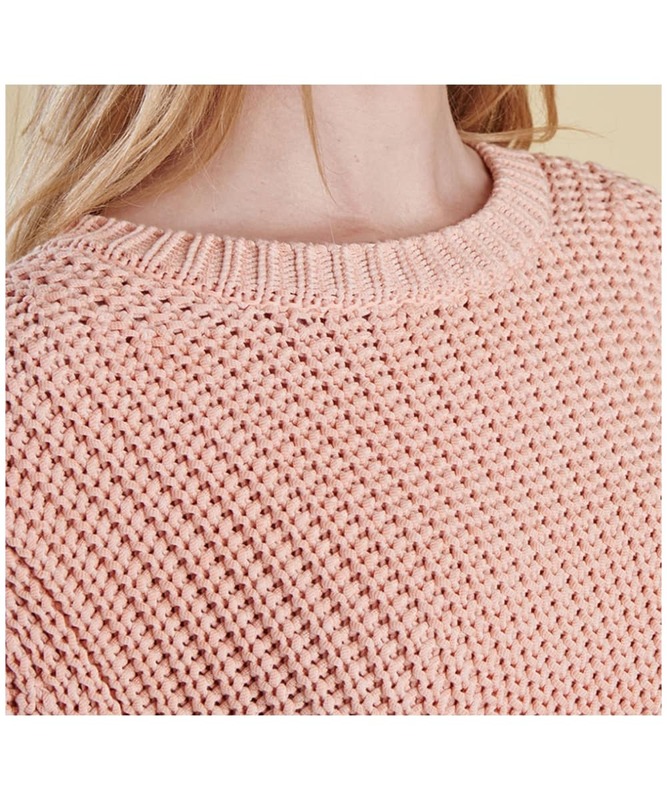 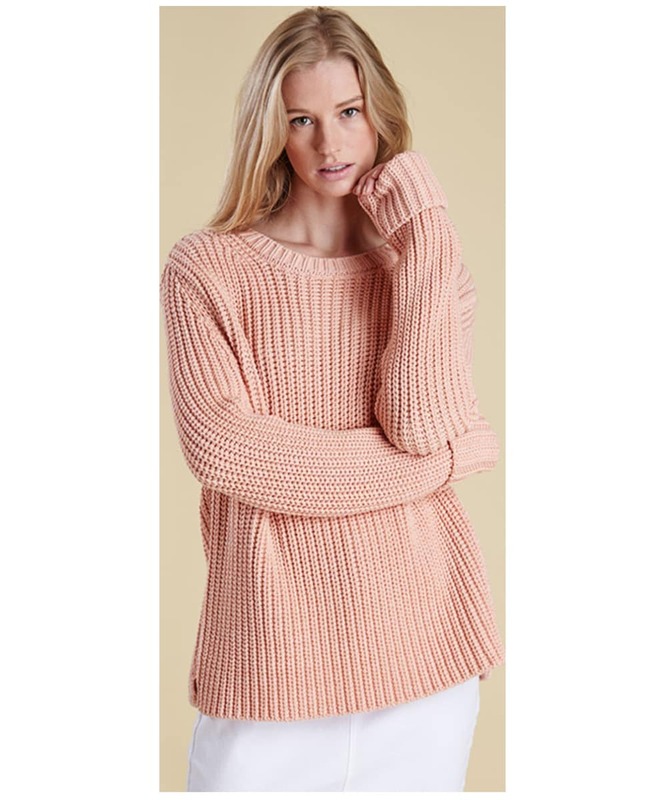 The neckline is ribbed for a neat fit, while the rest of the jumper is cut to a fashion-forward relaxed fit that is as comfy as it is stylish. 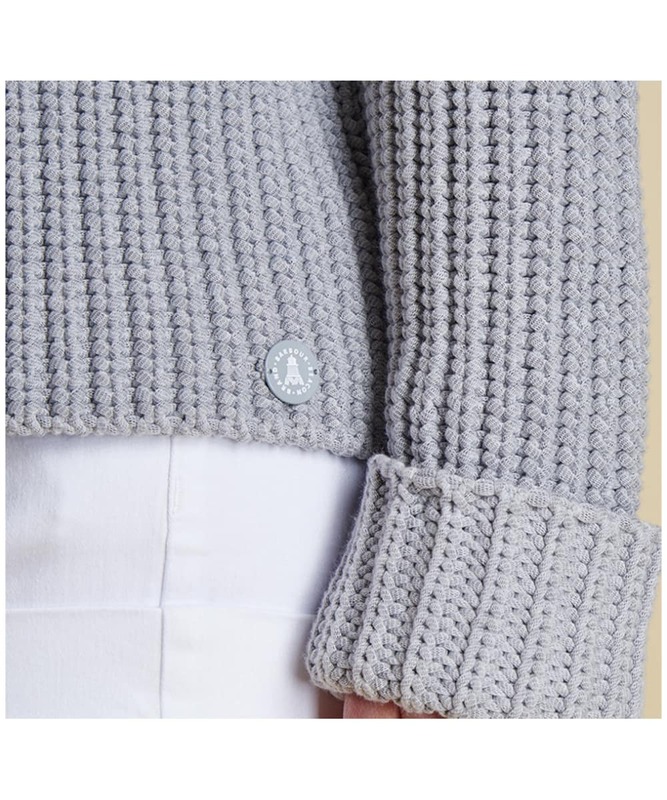 Turn back cuffs add integrity to the sleeves, and showcase that classic Barbour attention to detail. 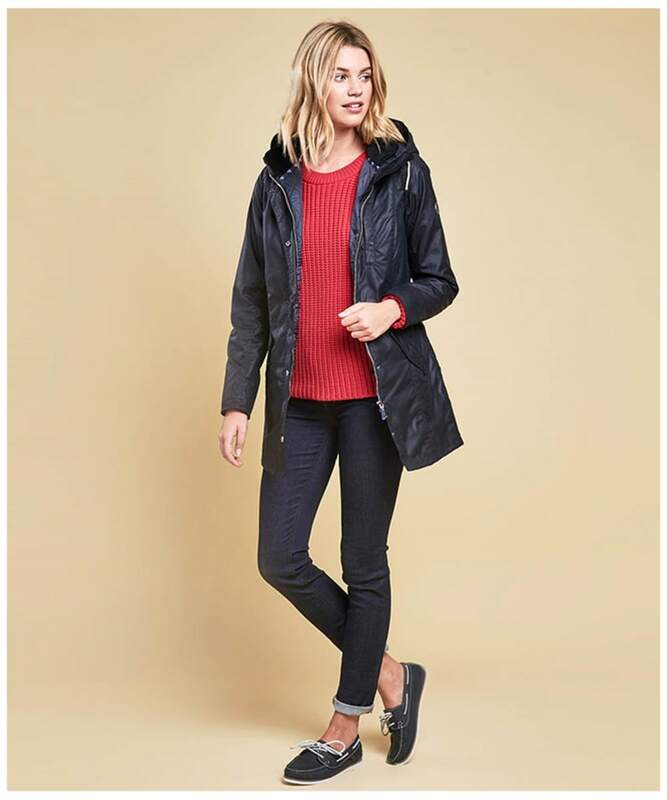 The Barbour Beacon enamel sew on branding adds a nautical touch of luxury.